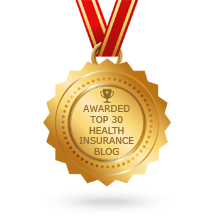 A nice surprise start to the year as our California Health Insurance Blog has been recognized by the panel at feedspot.com as one of the top 30 health insurance blogs on the web. Our blog came in at #24. We are in very good company with several well-known blogs including healthcare.gov. Our friends and colleagues at insureblog came in #22.